If you've ever wanted to build a robot or create a computer you can have a conversation with, Computer Science might be the major for you. Computer Science majors analyze the way computers and humans interact so they can build programs or systems that aid people in solving problems. Classes in calculus, data logic, information management, artificial intelligence, software engineering, and data structures and algorithms among others will give students the skills to help engineers solve complex math problems, design and test new operating systems, and improve computer user interfaces. Computer scientists often have a background in mathematics and enjoy problem solving. You will be responsible for creating programs and computer systems that will assist humans with projects or complex computing problems. Successful computer scientists are able to work as part of a team, have strong critical-thinking and analytical skills, and have ingenuity and creativity. Most computer scientists work full time with a typical 40-hour workweek. However, when conducting research, computer scientists are able to set their own hours, which may be more flexible. Internships and summer jobs within the field will be beneficial since employers are looking for employees with concrete skills. 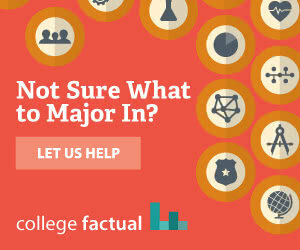 There are multiple routes that Computer Science graduates may choose. Previous graduates have gone on to work for computer system development companies, software publishers, research and development companies, and the federal government. This major equips students with the skills to pursue any career that deals with interactions between humans and computers. Those who want a career in computer and information research will have to earn their Ph.D. The amount of computer science jobs are growing at an average pace. Graduates who have had previous work experience and are highly skilled will have excellent job prospects. Computer Science graduates have an starting salary of about $53,834 and a mid-career salary of about $94,530. Here is a small sample of the careers that a degree in Computer Science might open up.